We're always on the look out for great dog friendly hotels and wrote about some of our favourites here recently, so when we heard about Another Place, the first in a new collection of hotels from the people behind Watergate Bay in Cornwall, it sounded perfect and we couldn't resist heading up to the Lake District to discover it for ourselves. Whether it's your first trip to the Lakes or you're returning as a seasoned visitor Ullswater is an awe-inspiring destination. 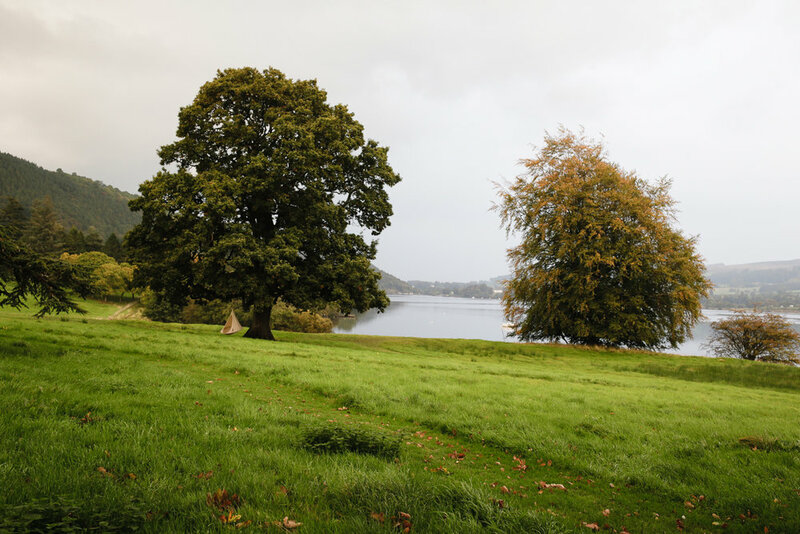 It's relatively easy to reach, in comparison to some other parts of the Lake District too, and once you leave the motorway the hotel is just a short drive away. Despite this as soon as you check in you definitely feel that you're deep in the heart of the beautiful Cumbrian countryside. This sense of being in the midst of the landscape is central to the Another Place ethos. 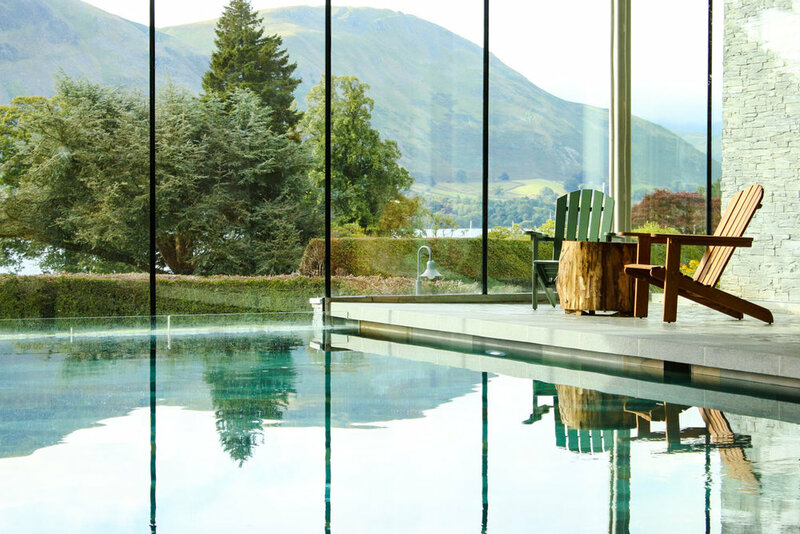 Many of the rooms have beautiful views of the lake and surrounding fells and the focus is on enjoying all the outdoor activities that this stunning part of the Lake District has to offer. When you arrive downstairs for breakfast in the morning a blackboard invites you to book in for one of the day's paddle boarding or canoeing sessions on the lake. If that fails to tempt you the hotel can also arrange bike hire, or sailing lessons from the private jetty, and of course it's a great place for walks so your dog will love it too. Back at the hotel you can take a swim in the 20 metre indoor pool which has wonderful views out across the lake. In keeping with the hotel's focus on active leisure it's known as 'Swim Club' rather than the spa, but don't worry, you won't feel out of place if you just want to relax and unwind poolside or in the sauna. There's also a wonderful outdoor cedar hot tub - the perfect place to soothe aching muscles at the end of the day. And speaking of aching muscles I'd definitely recommend setting aside time for some pampering during your stay. While Graham and Albert headed out to climb one of the nearby fells I was booked in for a treatment. After a summer playing lots of tennis I had a few niggling aches and pains so I opted for an invigorating full body massage. My therapist was amazing and she did a great job of easing all the knots and tension in my back and shoulders. I should definitely treat myself to a massage more often! The treatment rooms, like all areas of the hotel are beautifully designed. The design concept for the hotel was created by Shoreditch based Household Design. "What makes The Lake different is its authentic and considered connection to the environment with this idea forming the central part of the brand experience," said Siu-Lan Choi, Creative Director at Household Design. "The concept is about fusing the location into the brand and using its unique energy to define and design the experiences, so that it becomes more than just a location, more than just a hotel, it’s Another Place." "We were inspired by the landscape and chose earthy tones and seasonal accents, with wools and tartans representative of the locality. Much of the bespoke furniture is finished in rich, rustic colours to work with some of the original antique pieces that we retained from the original house. We then brought in cloudy limestone surfaces and contemporary weaves in upholstery and curtains to balance old with new." The design team were keen to maintain the architectural features of the original house, whilst giving it a more contemporary refresh through the choice of colour, furniture and accessories to bring it in line with the new wing of the hotel so that the different spaces have a unified feel. "We want guests to still be able to enjoy the architectural beauty of the Georgian residence, but have not tried to recreate this in the new wing by creating any faux features," the Creative Director explained. "Authenticity is key, and this drives an honesty in our approach to keep old as old and new and new. Instead, we built the new wing around the idea of it being a luxurious ‘barn’ to the original house, and were inspired by barn door motifs and simple, rustic functionality, executed in a beautiful way." There are lots of relaxed public spaces where you can unwind in one of the many comfortable sofas over drinks. The Living Space, an informal area for dining and relaxing, adjoins the Swim Club and the newer wing of the hotel to form a semi-enclosed courtyard which is a popular outdoor meeting spot. It's also very dog friendly. While dogs aren't allowed in The Rampsbeck Restaurant they are welcome in most other parts of the hotel and you can dine with your dog in The Living Space. The food is unpretentious, simply presented... and delicious. The hotel is one of those rare places that seems to happily accommodate everyone - from couples, to dog owners and families with young children - with everyone's needs thoughtfully catered for. They really do seem to have got the balance just right. The atmosphere is friendly and sociable and we found ourselves chatting to other guests much more than we tend to at other hotels. This is in large part due to the relaxed open plan design of the public spaces, but there are also quiet corners that you can retreat to if you crave a little more privacy. The Library, an elegant and slightly more formal space in the original Georgian house, is exquisitely designed and the perfect place to sit and just quietly enjoy the sunset over Ullswater with a pre dinner gin and tonic. It's a winning formula, and if you're thinking of booking a stay at Another Place I'd recommend checking in for at least a few days to enjoy everything that the hotel and the surrounding area has to offer - we could happily have stayed for a week! Owner Will Ashworth told me of the exciting plans they have in the pipeline for several more Another Place hotels, each one similarly focused around active outdoor breaks in beautiful locations. We'll definitely be following what they do next with interest. Design Hunter was a guest of Another Place, The Lake. Selected images courtesy of Another Place where stated. All other images by Design Hunter.